Technology has become the single most important asset for a wealth of businesses in the past few years, and has also effectively transformed virtually every organization on the globe, not to mention consumer demands, corporate purchaser expectations and the like. 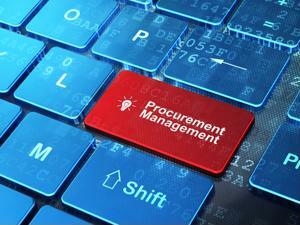 For this reason, procurement management has become a bigger pain point for a wider variety of firms, and will only continue to be a more pressing matter as time goes on and digital assets diversify. Companies that do not embrace new technologies, or those that do without putting much effort into strategic sourcing and spend management, will likely face relatively tumultuous situations before long, especially as competition heats up in the global economy. Creating sound supply chain management and provisioning processes for new technologies is certainly an achievable goal, while those entities that do not have faith in their own abilities can look toward sourcing service providers to get the job done. However, the single most important thing to remember is that the world is evolving, and businesses that keep their feet rooted in the past will simply not be able to deal with the widening range of competitors, challenges and demands as the years go on. With a proactive approach to technology procurement, the sky will be the limit for performance improvement and financial growth, as digital commerce has provided a new pool of potential for every company. International Data Corporation recently released the results of a new study that sought to discover how technologies are impacting digital commerce and competition in virtually every industry, and the findings were extremely telling when it comes to what the average market will look like a few years down the road. Remember here that cloud computing and other modern technologies have indeed been hailed for their abilities to level the playing field between larger and smaller companies. This report indicated that this idea is being perpetuated and has become intensified of late, and that it will only become a more pressing matter for organizations as time goes on. According to IDC, roughly one-third of the largest 20 companies in each industry will be faced with a more diverse range of competition within the next three years, meaning that smaller firms and overhauled ones that have been around the block for a while will indeed be biting at the heels of major corporations by 2018. "Digital technology has and will continue to alter the landscapes of business, education, healthcare and government. The past couple of years have seen breathtaking change at an accelerating pace," IDC Senior Vice President of IT Executive, Industry and Financial Research Meredith Whalen asserted in the report. "Digital transformation is one means of creating self-adapting businesses that can rapidly respond to change. These organizations will not only weather the coming storm, but also thrive on it." The researchers argued that reaching optimal levels of digital enablement and performance will help companies of any size and industry reach the top of their respective markets. How will companies expect to remain competitive or increase their edge without procuring the right solutions in the right ways? Simply put, they will not. Procurement management for digital assets is no easy task, but it can be achieved through the right types of support and increased effort to diligently form strategies and policies. As long as spend and deployment oversight are centralized and the right types of sourcing providers are taken in as partners, businesses will have an easier time leveraging modern tools to compete in novel markets of the future.